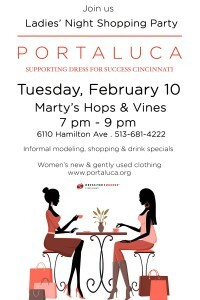 The Portaluca Boutique supporting Dress for Success Cincinnati is hosting an informal modeling shopping party at Marty’s Hops & Vines in College Hill on Tuesday, February 10th from 7 pm – 8 pm! You don’t want to miss this special event. The show includes informal modeling of Portaluca merchandise in all sizes, shopping and special drink prices. Models will be showcasing the high end pieces that have come to be found at the boutique. All pieces that models showcase will be available for immediate purchase and will be able to be taken home that evening. The Portaluca Boutique sells women’s new and gently used clothing. All proceeds of the shopping purchases support Dress for Success Cincinnati. Not only will you and your friends have an amazing time at Portaluca Boutique, but you’ll be supporting a great cause. Make sure to come out on February 10th! On December 3rd and 4th, from 11a-8p, multiple boutiques in Cincinnati will come together to create a huge holiday sale for the community. Boutiques will be bringing an array of women’s clothing, accessories, shoes and gorgeous jewelry! Make sure to attend this great holiday event, seeing that this event typically happens only twice a year. You’ll be able to find great deals from some of your favorite stores who normally don’t discount right before Christmas! You won’t want to miss this! Cincinnati Boutique Sale January 24-26 in Hyde Park Plaza! Get ready to shop until you drop while helping out a great charity! 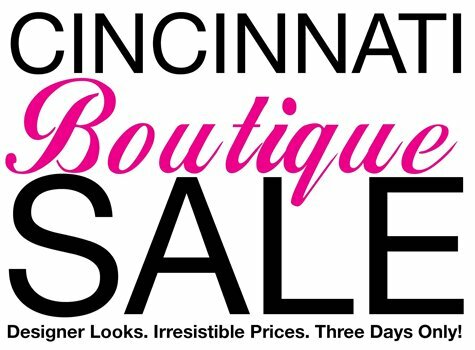 The Cincinnati Boutique Sale is THE place to get the best prices of the year from your favorite local boutiques. Basically, the concept is that twice a year, after a big retail rush, this group of hand-selected brick-and-mortar boutiques from across the Tri-State get together under one roof to liquidate all their sale inventory at insane prices. Plus, not only will you get some amazing deals, you’re also helping a worthwhile cause, as all entry proceeds benefit Lighthouse Youth Services. The Cincinnati Boutique Sale’s preview party will take place January 23 from 6-9 p.m. and the sale will begin January 24 from 10 a.m. to 6 p.m. Doors will open again January 25 from 10 a.m. to 5 p.m. and January 26 from 11 a.m. to 4 p.m. You’ll find the sale at 3880 Paxton Road in Cincinnati, the old Blockbuster store in Hyde Park Plaza next to McDonald’s. A $5 donation is suggestion for admission for all 3 days of the sale. You can learn more about the event by visiting www.cincinnatiboutiquesale.com. Cincinnati Boutique Sale This Weekend! I blogged about the Cincinnati Boutique Sale a couple weeks ago, but I wanted to remind you that it’s this weekend! It’s honestly the best sale of the year (they always do two annually) because all the best local boutiques are under one roof, and they’re offering everything at the biggest discounts of the year so they can move merchandise for the next season! So mark your calendars and get ready for some savvy shopping! 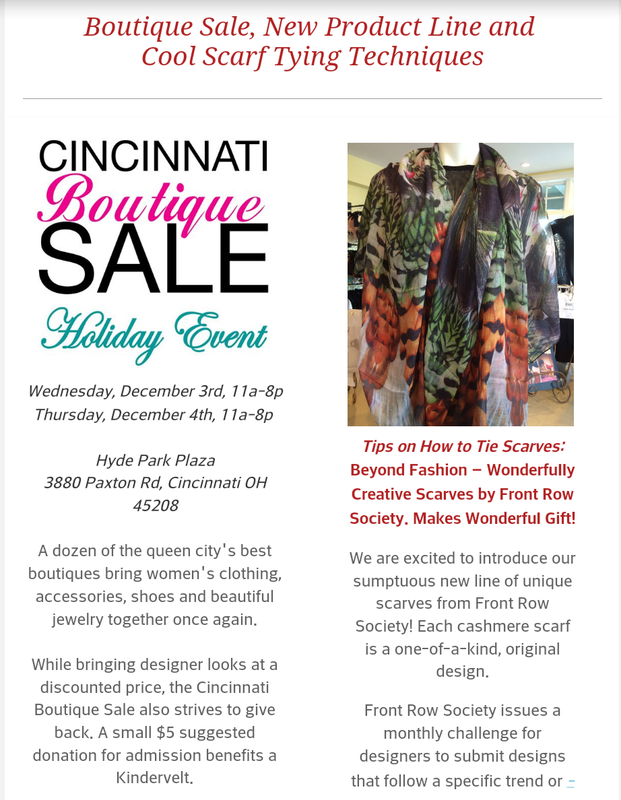 The winter Cincinnati Boutique Sale dates were just announced! So, all you savvy shoppers should mark your calendars for Jan. 18-20 if you want to get in on the goods! As the first day of the Cincinnati Boutique Sale comes to a close, I just have to tell you… clear some time on your cal this weekend, ladies! You (and your wardrobe) will be sorry if you don’t! TONS of fab finds at even better prices! Click here to get all the details on the time and location. Then, below you can check out a few of the items and deals I found at the sale! By the way – It’s this weekend only so make sure you get there! Also, just a tip – selection is better the sooner you go, but prices usually get slashed even further Sunday afternoon. So, maybe go early Saturday and return to the scene of the crime on Sunday to get even better deals! 🙂 Happy shopping! Sale at The Pink Box in Madeira! Warm up the car and get ready to head down to The Pink Box in Madeira! Starting today, The Pink Box is having their “Make Way for Spring” Sale! As always, this is a great time of the year to get amazing deals because stores are liquidating their remaining inventory to make room for the Spring stuff they’ll be getting in before we know it! They said on their Facebook page that is their “BIGGEST SALE EVER!” Woah. Sounds like The Pink Box will be clearing out some serious inventory! 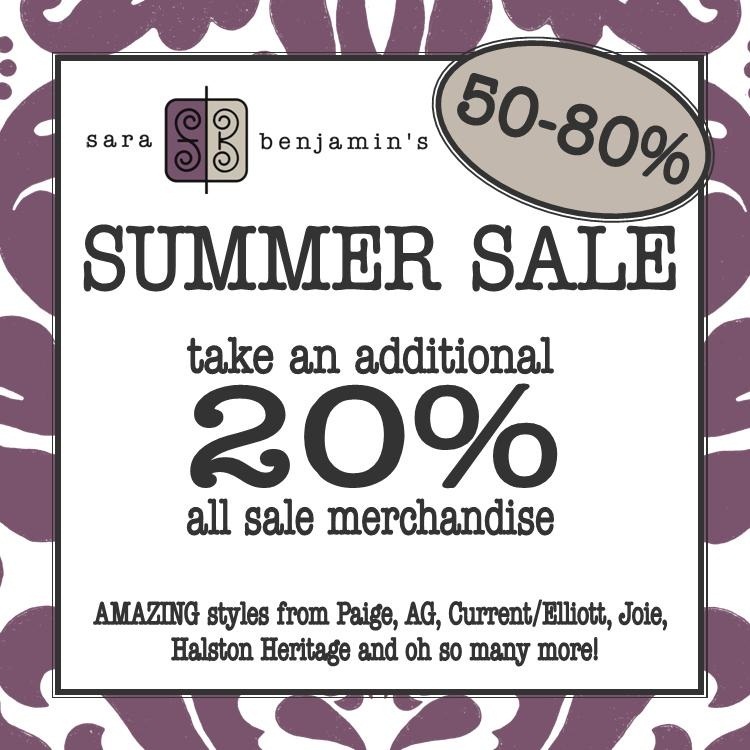 The Facebook post also said that all in-stock jewelry will be 30-50% off and Winter/Fall clothing will be 40-60% off! 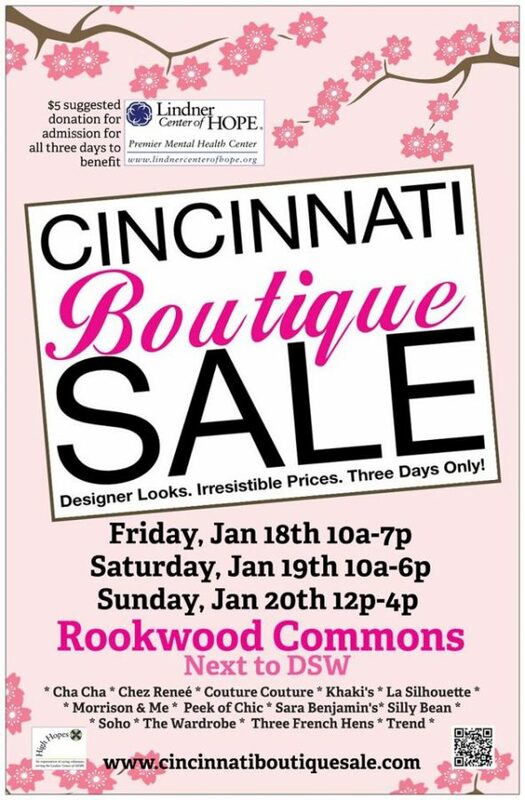 Also, don’t forget the Cincinnati Boutique Sale is going on this weekend (Sycamore Plaza, across from Kenwood Towne Center), which means we’ve got even more shopping to do! Yay! 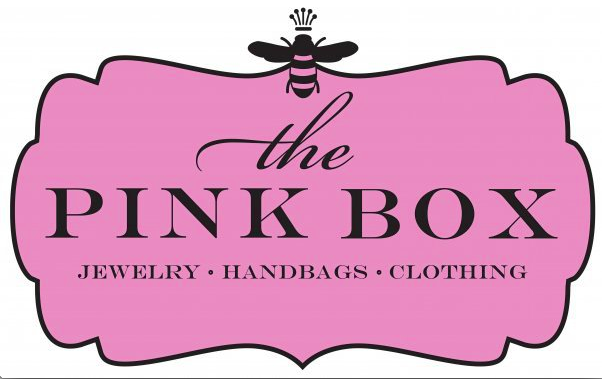 See you at The Pink Box and the Cincinnati Boutique Sale this weekend! Happy shopping! I just got back in town, and the first thing on my list to do? Visit the Cincinnati Boutique Sale. But before I do, I want to share a little write-up my friend Jenn wrote about her experience at the first day of the sale (which was actually their VIP preview event to fundraise for their philanthropy). Read more about Jenn’s fab experience at the sale below! And get your frugalista self to the best sale of the year! Thanks Jenn for sharing your experience with us! When I was reminded about the annual Cincinnati Boutique Sale in Rookwood Commons (old Anthropologie space) on Facebook, I knew I had to be one of the first to check it out so, I made plans to stop by the Preview Cocktail Party this past Thursday! Shoes, Clothing & accessories OH MY! & a Cash Bar! Over 10 local boutiques lined the interior of the old Anthropolgie space in Rookwood Commons. I found all my favorite local boutiques; Soho, Fetish, Sara Benjamin and Morrison & Me under one roof- during a summer sale nonetheless! What I tried on: With a glass of wine in hand, I slipped into a pair of stylish studded black pumps (Diego Di Lucca Black Studded Pumps only $92) at the Morisson & Me Sale section. You can also find UGG flip flops (sale price: $21) and Franco Sarto Metallic Silver Sandals (sale price: $42). With a special occasion in my near future, I walked over to Soho’s booth to find a last minute designer dress. Soho sale is amazing with over 40-60% off Shoshanna dresses, 30% off Matt Benson sandals and pumps, and vintage sequin dresses by Beyond Vintage for over 50% off! I bought a stunning Beyond Vintage Black-Sequined Cocktail Dress for a wedding I will be attending in Los Angeles the end of the month. Next, I walked next door to Soho to find, Sara Benjamin’s booth. Instantly, I fell in love with a casual, cute Joie dress (original price: $289 with 65% off). You love MISSONI???? Then, stop by The Wardrobe for Missoni knits shirts and skirts for over 50% off. Off to Arte Nouvelle to drool over a to-die-for Vivienne Westwood Plaid Handbag (sale price: $485) perfect for traveling! Looking to get sparkly?? Head directly to the heart of it all, With Love From Orazu, you can find dazzling, sparkling jewelry to wear for any occasion. 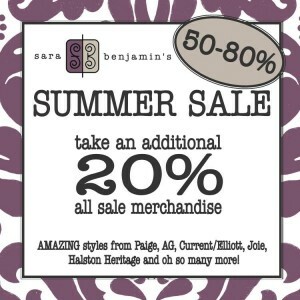 I suggest stopping by this lovely sale this weekend! Especially if you are running out of fresh, new summer items in your wardrobe! $5 Suggested Donation at the door to benefit The Karen Wellington Foundation for LIVING with Breast Cancer.